In January 2018, Professor Kanji Tanimoto from Waseda University, Tokyo, will come to Durham on a two week research visit to St Chad’s College as a Visiting Professorial Fellow. In addition to the delivery of a seminar on 18th January in St Chads, he will meet colleagues from Durham University Business School, Newcastle University Business School and Newcastle Business School (Northumbria University). Meetings have also been arranged with the Institute for Advanced Studies, Teikyo University and the North East Initiative on Business Ethics (NIBE). Kanji Tanimoto is Professor in Business and Society at the School of Commerce, Waseda University, Japan. He recently was Visiting Professor at the Free University of Berlin, Cologne Business School and National Taipei University. Prior to joining Waseda, he was a professor at the Graduate School of Commerce, Hitotsubashi University. He received his doctorate in business administration from the Graduate School of Business Administration, Kobe University. He is Founder and President of an academy: Japan Forum of Business and Society, which is the first academic society in this field in Japan. He is an editorial member of several journals. He serves on the program committee of the International Conference on Corporate Social Responsibility at Humboldt University. 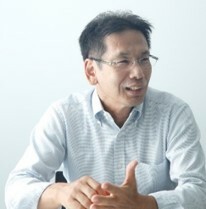 He has been consulting and providing advice to leading Japanese companies on CSR management over the last 20 years. He also has advised Japanese government committees on business & society and social business. His research interests include the relationship between business and society, corporate social responsibility, social business and social innovation. He has published numerous books and papers.